On September 15th last, AVN-Mali was invited by the Prefect of Dioïla Circle to take part in International Literacy Day, in the presence of M. Mohamed Ag Erlaf, Mali’s Minister of Basic Education, Literacy and National Languages. During his speech, the Mayor of Dioïla stressed the involvement of AVN as one of the key rural development actors in the Circle and plans to make funds available for the construction of literacy centres and for the training of young local masons in the NV technique. 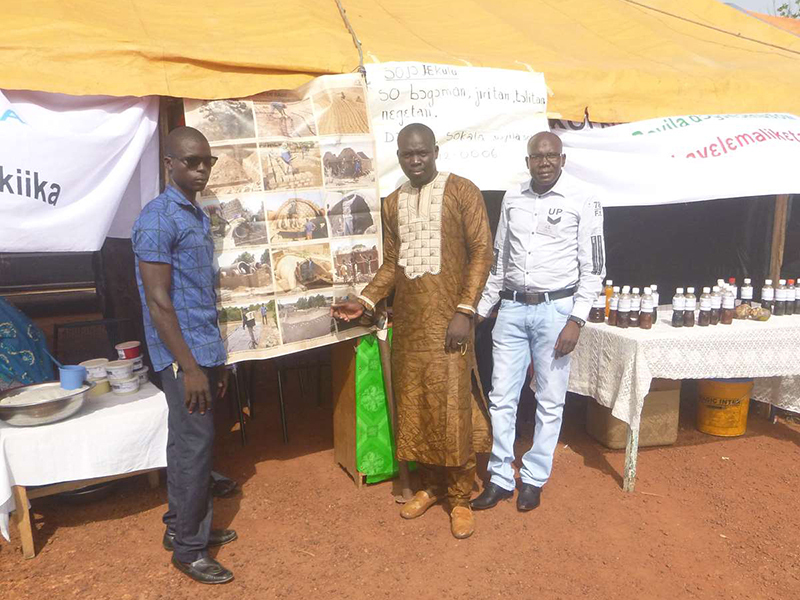 In addition, the AVN team had prepared information banners in Bambara, one of Mali’s national languages, to raise awareness amongst as many of the participants as possible. The Minister then asked for other AVN documents to be translated, with a view to spreading information more widely about the NV concept.